« Open MIC Every Thursday! 2nd Annual! – Last year’s weekend was SO MUCH FUN that we had to do it again this year! 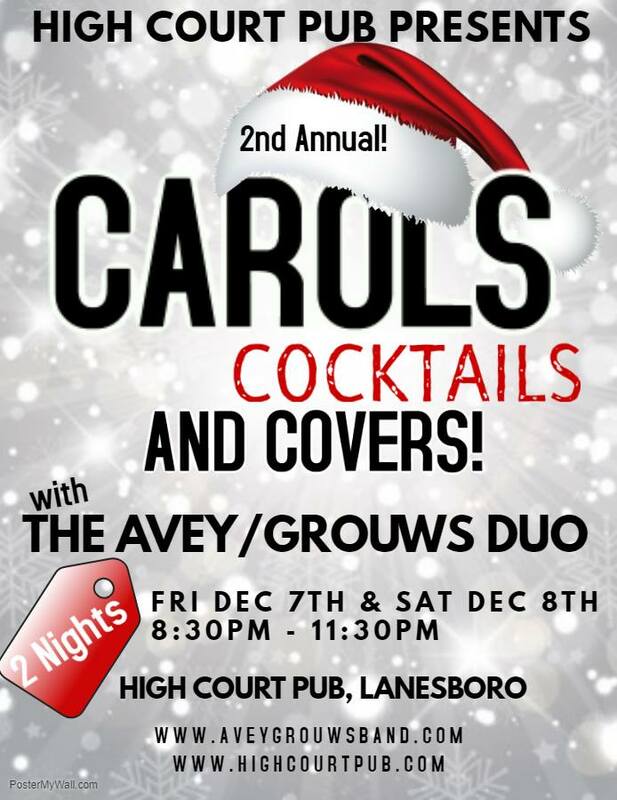 Chris Avey & Jeni Grouws, the Avey/Grouws Duo, will be back to sing their originals, lots of covers, a few carols and YOU can sing carols, too! Plug in your phone so YOU can sing the carol of your choice or sit back and enjoy the killer music and great fun of the Avey/Grouws Duo. Try a cocktail special — Spiked Hot Chocolate, Holiday Chocolate Martinis — all your winter favorites!